director | Where is @rusnivek? 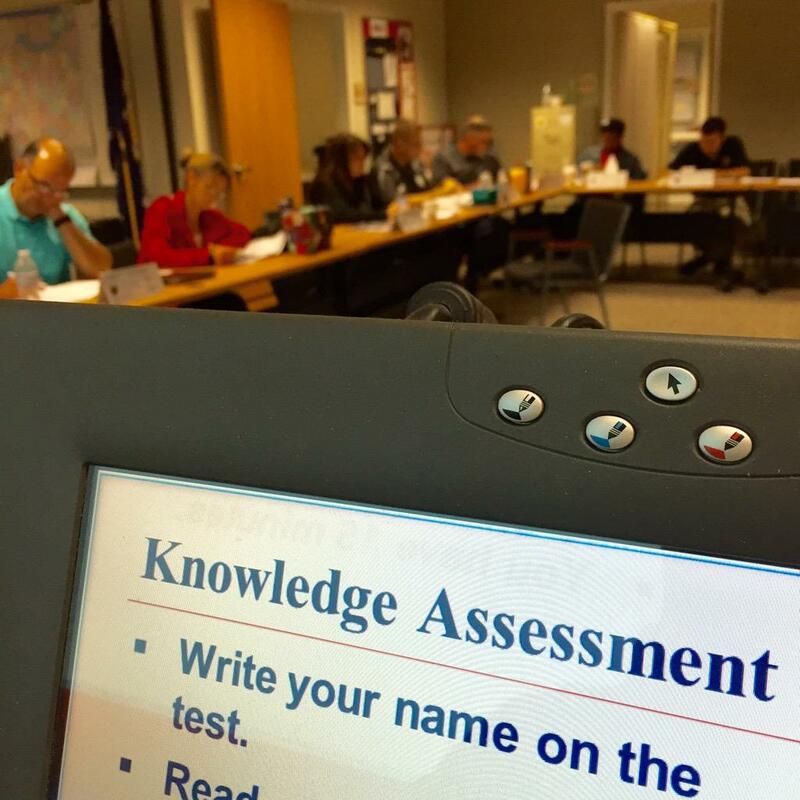 Welcome to another solid start of Ohio EMA’s G-235: Emergency Planning course! 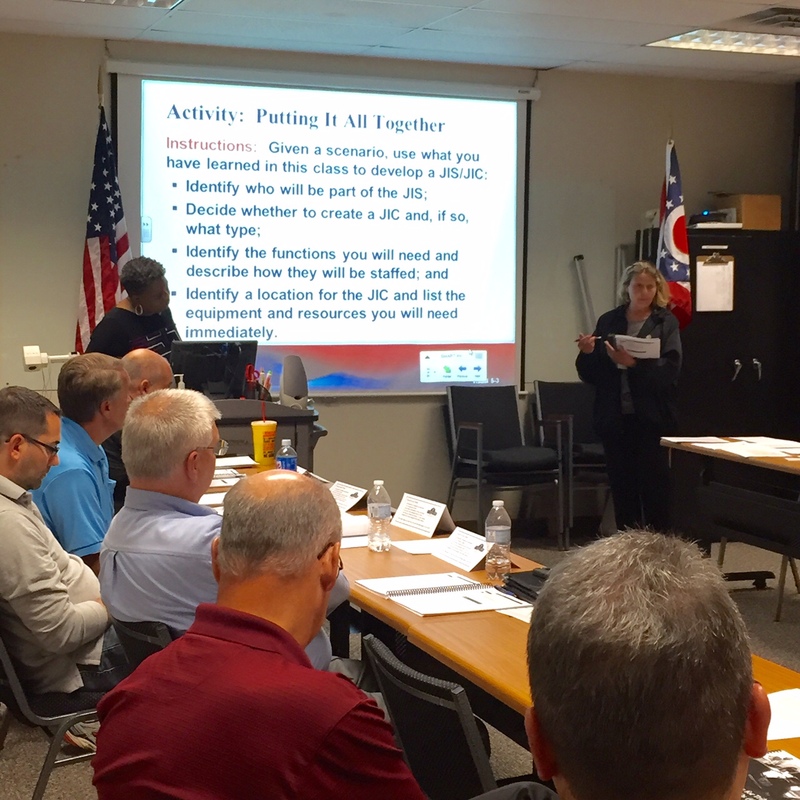 Thank you to Ashtabula County EMA for hosting this class for participants from three different FEMA regions. Here’s Ashtabula County EMA Deputy Director Tim Settles welcoming message to all our participants. I immediately started involving them on identifying solid planning system characteristics. Great discussion among Fire representatives, Emergency Management, and Red Cross professionals. Additionally, CERT and HAM radio operators’ involvement was critical in plan writing as they will be testing/using those annexes. Team leads from the Ohio National Guard / 52nd Civil Support Unit attended and worked closely with leadership from local/county EMAs. 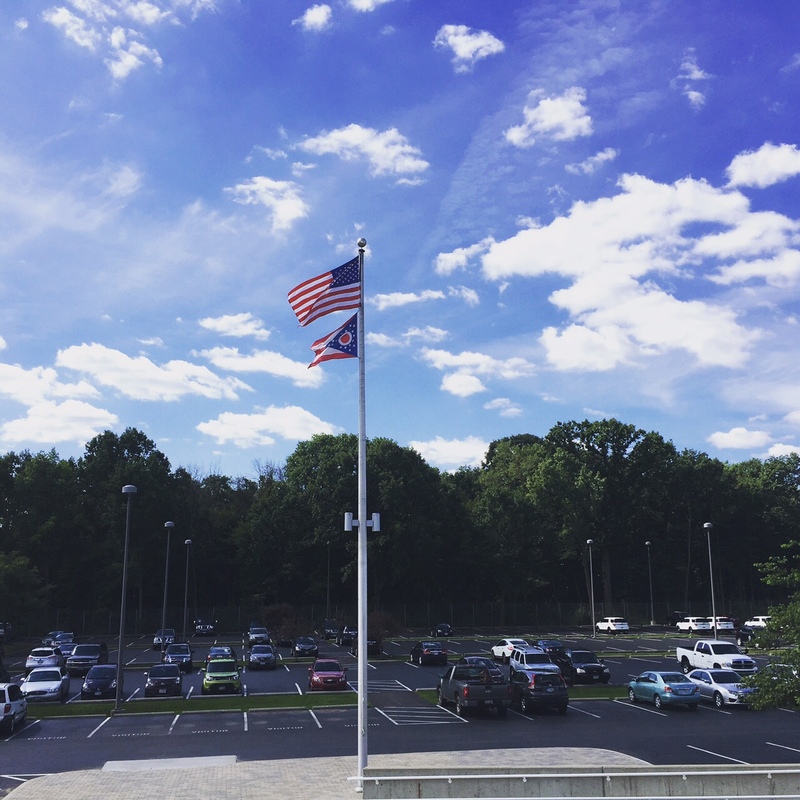 Outstanding first day of class! On this #AlohaFriday – I report to the OEMA mother ship! I had to take care of some TPSReports for ICS classes. Talked about upcoming October/November schedules with both SAAs on a few ICS-300 and ICS-400 about registration issues as well as my packed IMT class for FEMA’s USAR Ohio Task Force-1 (OH-TF-1). I was fortunate to visit with good friends Jerry and Sima. Hilarious! Lots of discussion on the RNC as well as National Preparedness Month. And yes, all done with the Aloha Shirt on. Another way to increase your preparedness level is to attend various classes with DHS/FEMA leadership. Many of them are passionate about preparedness training and can provide some insight to strategic goals and national initiatives. 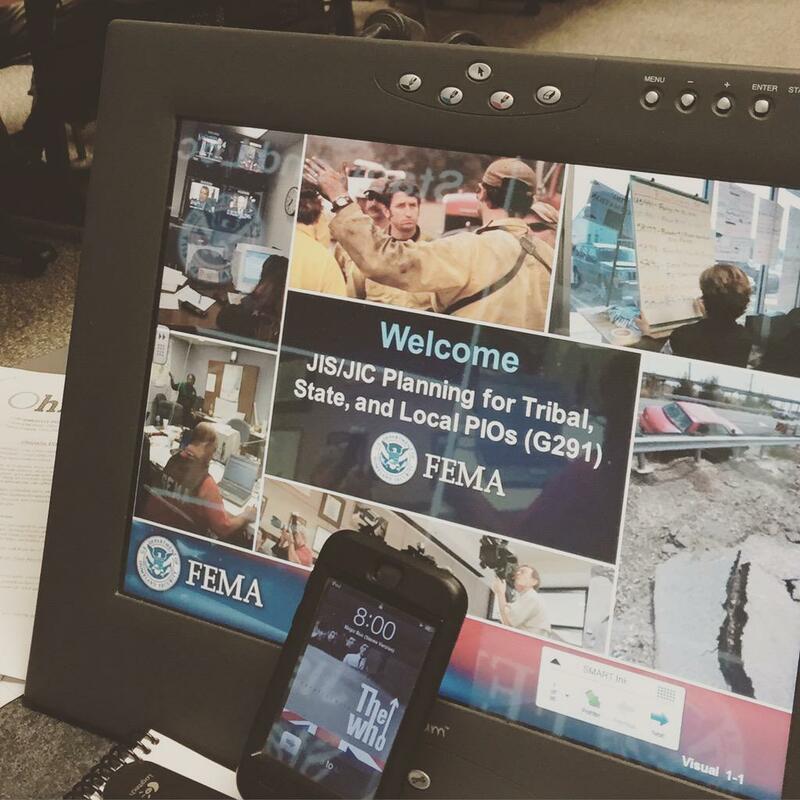 From emergency preparedness kits to supporting the Weather Ready Nation, many have been outspoken champions in the realm of #NatlPrep #Response and #SMEM – whohoo! 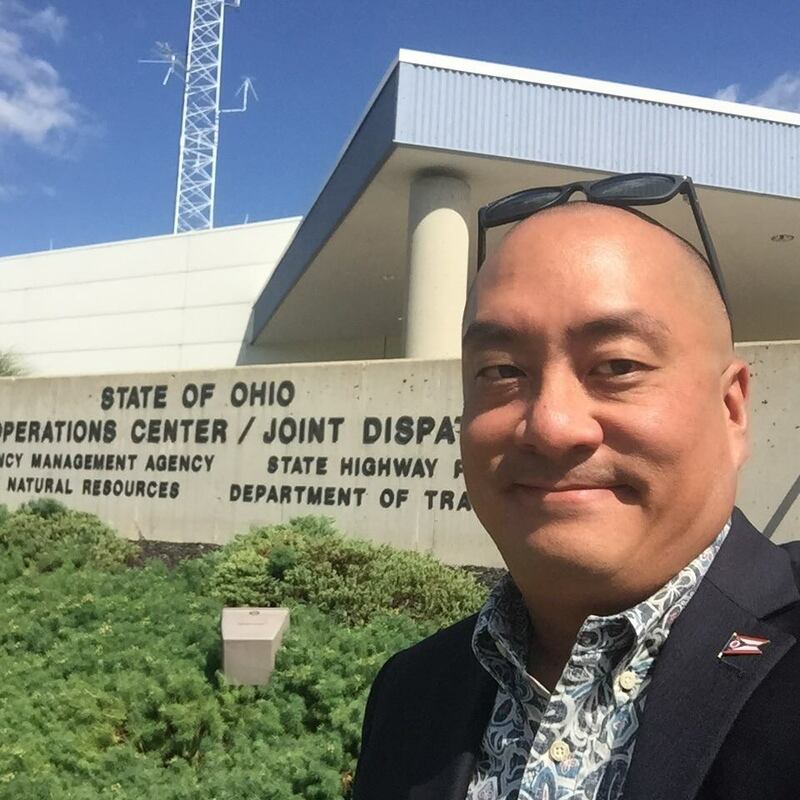 A fine day to teach the Ohio Emergency Management Agency’s JIS / JIC Planning for Tribal, State, and Local PIOs (G-291) course in Medina County! A classic start with The Who. One of the big points emphasized in this class is the differences between a Joint Information Center (JIC) and a Joint Information System (JIS). Both have merits in daily operations and each have strengths and weaknesses in disaster operations. Sometimes PIOs don’t understand that a JIC or JIS activation is just like a normal activation. If you can’t figure out the differences between the two, take the class from those who have actually worked a JIC or a JIS. On Tuesday/Wednesday in the Basic Public Information Officers’ Course (G-290), we talked about training and readiness efforts for any PIO. Go Kits were a hot button topic as everyone’s PIO kit would most likely be different. Resource manuals are great to have, but difficult to keep updated. Just maintaining a PIO contact list is a tedious task. Much discussion about food in the kit. 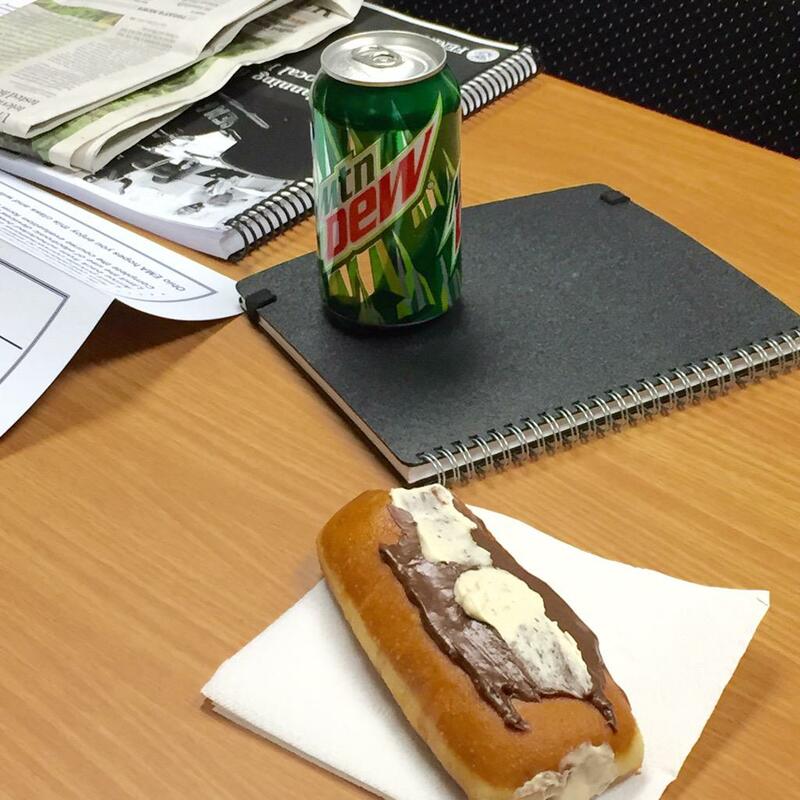 This was obviously NOT a good example of what you should be eating during an JIC activation. Prob not the best lunch. Healthy body = Healthy mind. Period. As the day progressed, we facilitated several in-depth discussions on teamwork, joint efforts in responses as well as some pre-scripted messages that can be used by everyone. Planning now will reduce the amount of white hair during an incident. Establish relationships now with local health departments, local and regional hospitals, local Hazardous Materials (HAZMAT) Teams, Special Technical Rescue Teams. Easily rely on your state staff and resources to support your actions. A great wealth of information is available to bring to the table. Just establish that connection before that awkward 0300 hit. 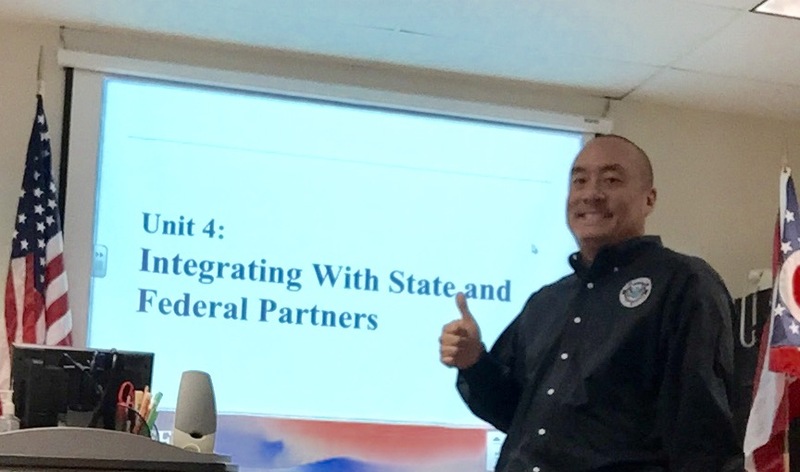 Additionally, tapping into local resources from other Federal Agencies like the Federal Bureau of Investigations (FBI), Bureau of Alcohol Tobacco, Firearms, and Explosives(ATF), National Weather Service (NWS), Environmental Protection Agency (EPA), Immigration and Customs Enforcement (ICE), Customs Border Patrol (CBP), National Transportation Safety Board (NTSB), Federal Aviation Administration (FAA), etc…so many options to establish relationships! Looking outside government agencies, public and private partnerships can support our safety and response initiatives – so we need to make a concerted effort to make those connections now. Build relationships before a disaster! Open discussions with various providers. Invite your all-hazards partners to meetings. Share resource lists and contacts. Support each other during operations. Review After Action Reviews / Improvement Plans (AARs/IPs) together. And if you were wondering, class participants did well on their post-tests. We had a great time teaching this week. Much thanks to the Medina County Emergency Management Agency and EM Director Christine Fozio for their hospitality. Super fun time. Special thanks to the Ohio Emergency Management Agency for sponsoring this all-hazards class for our partners in public safety. 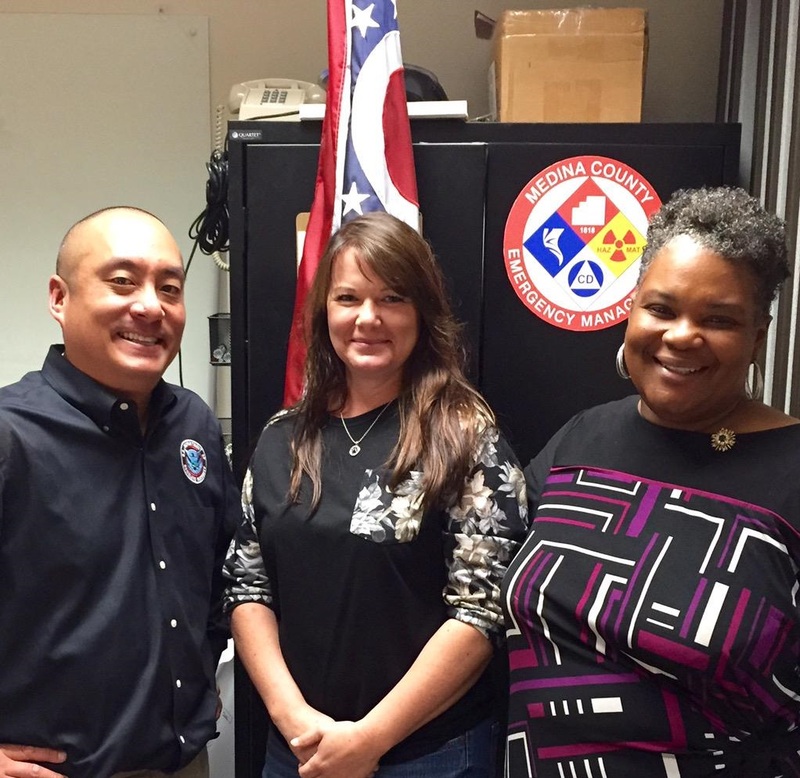 (L to R): PIO Instructor Kevin Sur, Medina County Emergency Management Director Christine Fozio, and PIO Instructor Monique Witherspoon. **coordinate through OEMA State Training Officer Susan Traylor. As always, I’m looking forward to the JIC / JIS activation calls. I am excited for these new PIOs to put their new acquired PIO skillz in place. And yes, I said skillz with a Z. Time is short so do good stuff! Even more South Dakota Alohas! Did someone say more cowbell? How about even more Aloha in South Dakota! Not to be outdone, today’s class had to show more Aloha than the previous class. IMHO, I think there is a ton more Aloha in South Dakota this week. Mahalos to the Pennington County Emergency Management Agency Director Willett and Deputy Director White for hosting. Looking forward to the next class!